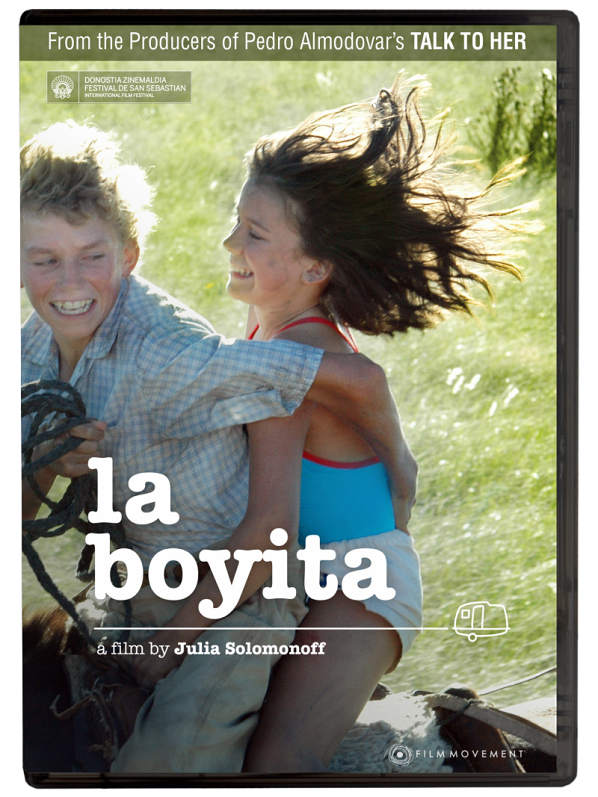 Perfectly capturing that confusing time in an adolescent girl's life when she's simultaneously holding onto the last remnants of childhood while also hurrying to grow up, Argentine actress turned writer-director Julia Solomonoff's 2009 feature La Boyita is set over the lazy days of a pivotal summer in the life of young Jorgelina (Guadalupe Alonso). Given a crash course in puberty by her older sister Luciana (María Clara Merendino) who has been pushing her adoring younger sister away in exchange for privacy, push-up bras, and PG-13 movies with friends ever since she got her first period, Jorgelina looks for any excuse to recapture the closeness they'd shared only recently. Hugging her sleeping sister goodbye in a hammock in a breathtaking shot that echoes the haunting innocence of Sofia Coppola's Virgin Suicides – rather than go to the beach for the summer with Luciana and her mother – Jorgelina opts to give her sister the space she craves by traveling to the Argentinean countryside with her father in the early 1980s. 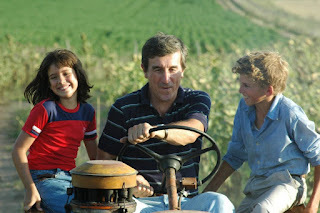 With miles of land as far as the eye can see, Jorgelina begins to explore her surroundings with Mario (Nicolás Treise), a slightly older boy roughly Luciana's age who works the property alongside his father when he isn't training to make his jockey debut at an upcoming festival in the community. Having spent time with him in the past, as she helps bring out the hard-working boy’s playful side, Jorgelina's bond with (and crush on) her summer friend awakens new feelings within our lead. And their connection only increases when Mario takes her into his confidence and she tries to sleuth out the answer to a problem that nobody – from the kids to his parents to her own brainy physician father – knows quite how to solve. Reminiscent of To Kill a Mockingbird and The Man in the Moon with its focus on a child's loss of innocence as they come of age, Solomonoff's hauntingly tender film is not only told predominantly through the eyes of a girl who would likely have been great friends with Mockingbird's Scout Finch but also features an Atticus like figure in the form of her father. Transporting us right from the start to a distinct time and place, in La Boyita, we can practically feel the heat of the film's translucent sunlight beating down from the celluloid and right into our scalp. A surprisingly sensitive, still incredibly timely tale, as both a writer and director, Solomonoff uses the power of its simple and straightforward narrative to extol the importance of love and acceptance, regardless of the limitations placed on children growing up with gender roles and expectations so stiflingly defined. Establishing and foreshadowing her theme early on through Jorgelina's observations and interactions with her sister to a conversation with her dad where he tells her that as far as Mario's family is concerned, the reason that he must do well as a jockey is "to prove he's a man," Solomonoff pushes these boundaries in this lushly photographed, unforgettable film. Clocking in at a mere 88 minutes, the newly released title is making its North American debut both on Film Movement DVD and the studio's new superb streaming platform Film Movement Plus. While much like Jorgelina and truth about the world around her, La Boyita might be easy to overlook at first glance, if you give Solomonoff and her young leads your time, they’ll ride away with your heart.